This is me today. I feel like I'm losing my mind. I am so tired of arguing kids. I am so tired of their nasty little sense of entitlement. I am so tired of repeating myself. Over and over and over and over again. I'm tired of WWIII breaking out soley on the premise that math homework is cruel and unusual punishment. I'm tired of walking into my living room to find it littered with dishes, cups, and wrappers from whatever they've decided to help themselves to. The Boy was invited to a birthday party and a sleepover. He said yes to the party and now wants to cancel and go to the sleepover so he doesn't end up a the baby-sitter's on Friday night. My opinion - How Freaking Rude! Am I wrong for telling him he will go to the party and go to the baby-sitter's and like it? Period. I feel like EVERY TIME I turn around The Girl wants something. Mom, can I have this, Mom can I have that. Mom, buy this. Mom, I can't live without that. NO!!!! Clean your freaking room for once! Do your G.D. chores without a war ensuing! Follow the rules of our household! THEN... MAYBE... I will buy you that stupid thing you want. They are driving me insane! I feel like everything I say about them is negative. I feel like I am willing to do anything to get away from them. I hate feeling this way. I hate that talking to them seems less appealing than listening to a looped recording of fingernails on a blackboard. Bedtime is in 20 minutes. I just need them to go to sleep. And I need a glass of wine. If you feel that way it probably is. I know when I get stressed I can fall back to old habits of everything thing tainted negatively. The good thing is that you noticed and you can make the choice to be positive while still having them be responsible. An oldy but goody is yes you can have ____ when you ____. Puts them in total charge. The majority of children today are a handful. Most children think they are entitled, and that is one reason I don't think I could handle having children. I don't know how mothers do it. I feel you! My kids are the same way. Constant whining. 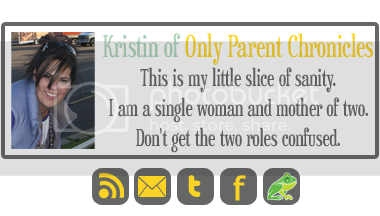 And, it's tough to be a single mom and have it all on you! Sounds like you're awesome! If there wasn't some negativity now and then I would think you weren't plugged into your kids. You are...and with that comes growing pains. I know you know this and I'm proud that you aren't stomping your foot between shots screaming ITS NOT FAIR. Because I would probably be doing that if I were in your shoes. Been there. Done that. Almost every friggin day of my life. My kids drive me nuts. They have such a sense of entitlement. You are not alone. I'm trying to force myself to realize this is what parenthood/motherhood is all about...unfortunately a lot of whining/complaining/not listening. And me wanting some wine! You're not alone in the least. It's absolutely every parent out there going through this. It doesn't fix it, but it helps to know there's others! Hello. 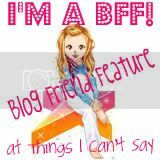 Just came across your blog. I've been friends with some of your followers. I've raised 3 kids to adulthood, and am now doing it again with 2 step-daughters. So been there, done that, doing that. Although my situation is different than yours, as I'm the man and married, you and I are still parents. As a parent, single or not, you have the authority to lay down the law. While I don't know the specifics of your situation, or the ages of your children, the rules are still the same. Set parameters and let them know what you expect of them. And let them know there WILL be consequences if they don't tow the line. You have the power to change their attitude and behavior. Our children need us to be their parents. They already have friends. They don't need us as another one. Too often, parents are more concerned with what their kids think of them, than in just being their parent. Don't misunderstand this. It doesn't mean we're big meanies. Show them all your unconditional love regardless of how they act, BUT, set the rules and be prepared to enforce them no matter what. Soon, they'll get the message and little by little your hell will become a nice place to be. You can do it. It might be a slow process, but over time the kids will get the message and they will respect you in the long run. Oh, yeah. I get this.